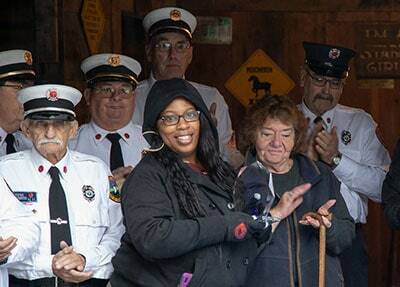 This story brings us to rural Sunapee, New Hampshire where elderly and loving couple Jim and Barb Duling escaped harm thanks to the ADT fire alarm and the quick actions the local fire department. It was 3:26 am when Barb, who is slightly handicapped and breathes from an oxygen tank when sleeping, was suddenly awakened by the home’s ADT-monitored smoke detector. ADT called the house to verify the fire. In a panicked voice, Jim told the dispatcher his house was on fire and to send the fire department. “Even though it was the middle of the night and the firefighters are volunteers, they were here in minutes,” Jim said. "I'm woken up by, FIRE, FIRE! Get out of the house!" The volunteer firefighters entered the house and immediately knew the cause was something electrical due to the smell. According to Jim, after searching for the source, they determined the smoke was coming from a faulty furnace motor. 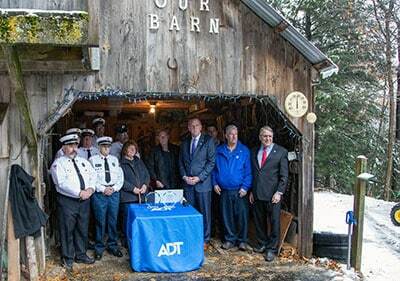 Thanks to the brave and quick response efforts of the volunteer firefighters, ADT awarded $5,000 to the Sunapee Fire Department for funding additional safety equipment to help local citizens in similar situations. “This call was an excellent example of how the security system worked and people did their jobs to ensure the Dulings were kept safe,” said Fire Chief Dan Ruggles. “I can’t say enough for ADT and I can’t say enough for our fire department,” Jim said. While Jim and Barb were fortunate enough to survive this fire, not everyone can say the same. According to the U.S. Fire Administration, there have been at least 1,962 fire fatalities in the U.S. since January. Winter months are peak times for home fires according to the National Fire Protection Association. It’s during these months having a volunteer fire department can be so important. To help create awareness for volunteer firefighters, ADT recently announced a $100,000 contribution to the National Volunteer Fire Council. This donation will help strengthen local fire departments in communities across the country. Learn more about the work ADT is doing to help volunteer firefighters across the country by visiting www.adt.com/volunteers/firefighters.